While 47 per cent Indians aren’t saving for the retirement, knowing how much you need to save is probably the most pertinent question for most of us who wants to save and invest. There are three things that matter in property: location, location, location. The late Lord Harold Samuel, a real estate tycoon in Britain, coined this expression. The phrase is equally applicable to your retirement decision. The decision of where to retire impacts how much money you should save for retirement in a big way. In this article, we present an analysis to determine your retirement amount depending on the city of your choice. Where do you need the lowest retirement saving amount? How much money do you think you need to sustain financial freedom (or retirement) for 20 years in different Indian cities if you retire tomorrow? It has been assumed that this amount will earn an annual return of 7.5 per cent. The city for which you need to save the least for retirement is Thiruvananthapuram. 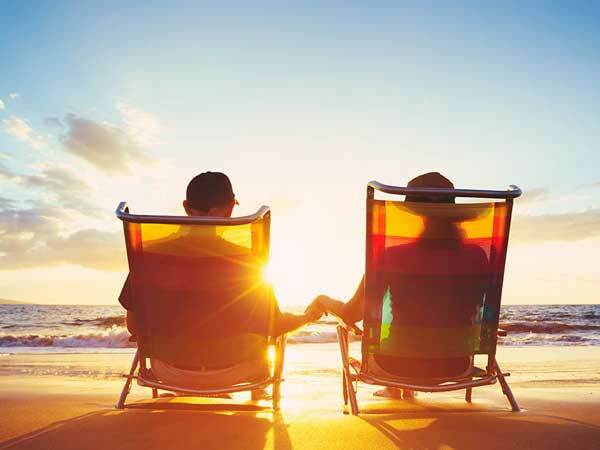 With just Rs 98 lakh, you can chill for 20 years in retirement, bathing in the calmness of care-free life. A major academics and Information technology hub, the city is ranked among the best cities to live in India in many surveys. The next three cities are Mysore, Vishakhapatnam, and Bhopal, each requiring retirement saving of less than Rs 1.15 Cr. The percentage cost split is a bit similar for different cities. While market category, which consists of products such as vegetables, fruits, beers, cigarettes and water is the biggest category, the key driver for the expense is, of course, the rent. The cities with high rent expense generally have a higher total cost of living. Here is how we did this analysis: We collected the data for cost of living index for different cities in India from Numbeo. The estimation provided this for Indian cities is based on 93,809 entries made from 7,638 contributors in the past 18 months. Based on the data of Gurgaon, we have calculated the cost of living in different cities. Further, we have considered that inflation in India will ~5 per cent on an average for the next 20 years. This inline with the data statista. In addition, we considered the return for the retirement savings to be 7.5 per cent, which is typical return for a PPF investment. While traditional saving options such as PPF are good options to protect your capital, investing in diversified asset classes based on your risk profile, you can earn better returns. In this study, we have considered an annual return of 7.5 per cent on retirement saving, which we believe can be easily achieved and even beaten. Limit your cost of living: Don’t be tempted to increase your cost of living whether by increasing consumptions or adding a few extra trips when you get raise or bonus. Invest your raise and bonus for retirement saving. Limit expense on kids: While spending for kids education and passion is fine, don’t burn your saving by doing destination birthday parties or gifting a new iPhone every year. Save on medical expense: Healthcare cost is generally the biggest barrier to saving for retirement. You should definitely have a health insurance coverage for you and your family.